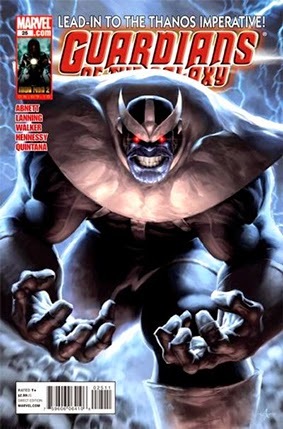 • PLOT SUMMARY: Thanos Imperative Prologue: Part 2 of 2 - He's back...Thanos! How did he return? Why is he back? And what does the appearance of the galaxy's #1 threat mean for our rag-tag band of universal protectors? Find out in the next issue of the comic that CosmicBookNews.com calls 'Awesome. Amazingly, jaw-droppingly awesome.' (W) DAN ABNETT and ANDY LANNING. (A) BRAD WALKER. (C) ALEX GARNER.